The Town Council operates the Seth Ward Community Centre in Luynes Rise, SG9 9SG. 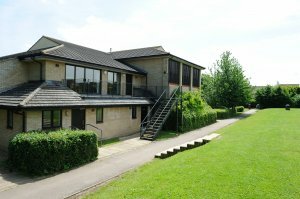 The Seth Ward Community Centre now has an independent website with more information on all of the rooms available for hire. The address is www.buntingfordcommunitycentre.org. The recreation field is marked out with 2 football pitches. There are subsidised rates for regular hirers as well as a special 3-hour Party rate.